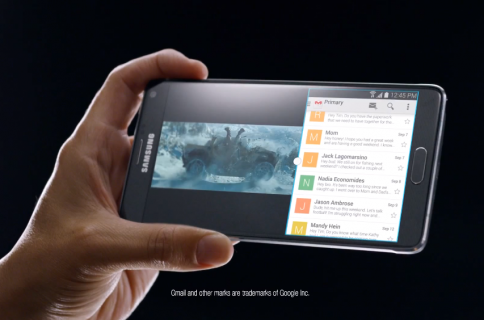 Galaxy maker Samsung on Thursday published a series of advertisements on its YouTube channel. 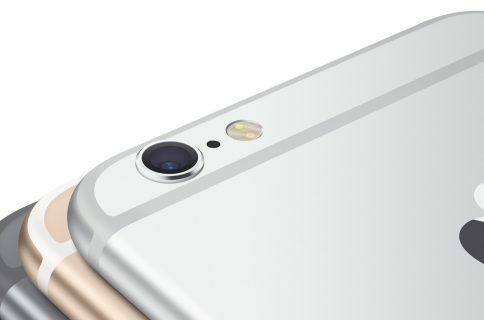 The commercials have been designed to ridicule Apple’s latest announcements. 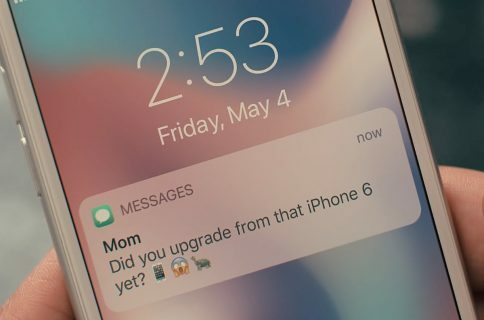 The six-installment series, which Samsung is running under the ‘Note The Difference’ tagline, targets pretty much everything, from Apple’s botched live stream to the iPhone 6’s screen size, multitasking and battery life to — funny you should ask — the star of the show: the Apple Watch. I’ve included the videos for your viewing pleasure right after the break so watch them now and join us in comments. Let’s start off with the following video which spoofs Apple’s numerous problems with the live-stream that Dan Rayburn at StreamingMediaBlog.com blamed on the lack of provisioning and planning ahead of the event rather than on server/capacity issues. “Sometimes live streams work and sometimes they don’t,” Samsung wrote. And this one criticizes Apple for waiting two years to bring larger-screened phones to market, comparing the 5.5-inch iPhone 6 Plus to Samsung’s latest 5.7-inch Galaxy Note 4 with a Quad HD Super AMOLED display. “It doesn’t take a genius to see that innovation is more than just a bigger screen,” says YouTube description. “Two windows are better than one,” says Samsung. The iPhone 6 includes a new software mode in landscape with iPad-like two-pane layout in certain stock apps like Messages, Mail and others. The following video wants us to believe Apple has made a grave mistake by not adopting a stylus. At least they’re not quoting Jobs on this one (“if you see a stylus, they blew it”). “Precise creations require precise tools,” argues the South Korean firm. And just as you thought Samsung did not notice “a little better” battery on the new iPhones, the firm predictably shifts narrative from battery life to charging times. “A battery should charge quickly,” argues the ad. The Note 4 has a fast/charging feature where the battery goes from zero to fifty percent charge in half an hour. 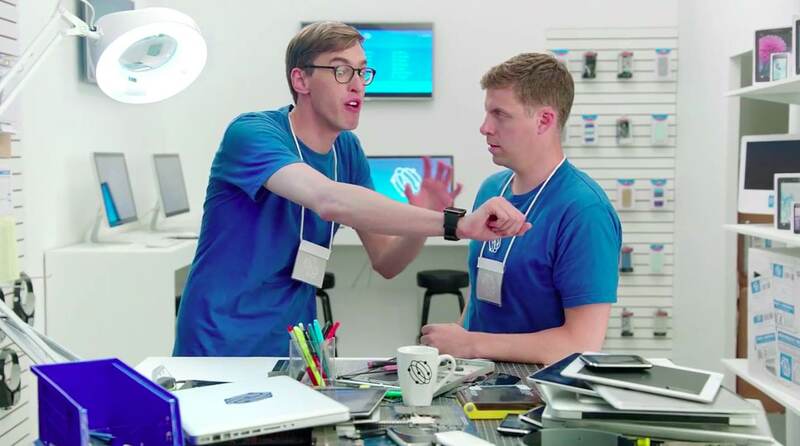 And predictably, an Apple Watch bashing commercial. So what do you guys think about these ads? Did they brought a smile to your face or were the jokes in bad taste?